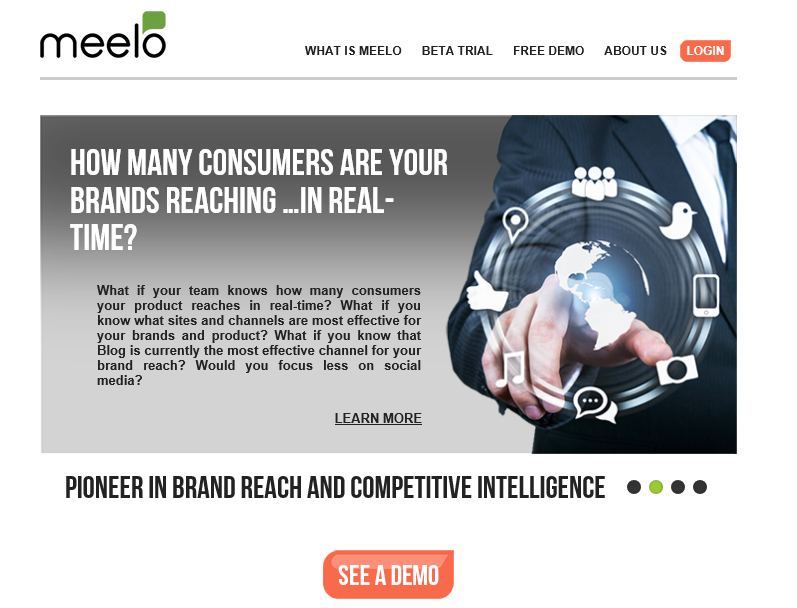 Meelo is the first of its kind brand intelligence platform to allow marketers to measure the effectiveness of marketing activities and campaigns plus the strength of their brands through brand reach analytics measures. Marketers can now go beyond the listening process to understand the potential number of consumers interacting with brands and products on the world wide web. Calculate your brand reach and displays it in an easy-to-use dashboard. Analyze reach from a quantitative and qualitative perspective measuring all data points and conversations.